You may have heard that longer blog posts are better than shorter blog posts. But, nothing could be further from the truth – provided you know how to make an impact with a short blog post. After all, it’s the content that matters most, not the length. Short blog posts, from 300 to 500 words, serve a purpose too. That’s why it’s really best to include both long and short posts. Once you learn how to write short posts with impact, you’ll see the benefits of doing so. Start with a Compelling Headline – You know its You read a blog post, or anything for that matter, based on the headline that you clicked through. Your headline needs to tell the reader what’s in the content without being absurd or tricky. Tell them what you’re going to tell them for the most impact. Be Concise – A short blog post with all the fluff removed will make a huge impact because its based on one main subject and point. You won’t have to worry about losing your readers attention with a short blog post that imparts one important point to the reader. Good editing will help make short blog posts impactful. Make It Scannable – People read differently online than they read on paper. On paper people always read from left to right. Online people tend to scan something from top to bottom first, looking at the left side of the page. Using bullets, headlines, and attention-grabbing headlines will help guide the reader. Laser Focus the Topic – A short blog post needs one laser-focused topic to consider with one main point. For example, instead of “Five Reasons to XYZ” you might want to write about “The Most Important Reason to XYZ”. Engage Your Readers – Always ask for comments. You can make a huge impact with engagement after your one-topic blog post. This makes the short blog post worth more than a larger post in terms of shareability and activity. Include Relevant Imagery – Using the right images for your short blog posts carries new weight, because the better your image the more likely your blog post is to be shared by those who read it. A well-composed blog post along with the right image (which, by the way, can stand in for approximately a thousand words) will make a huge impact. Practice Good Copywriting Technique – The best thing you can do is to remember that verbs are more important than nouns. Actionable content gets better results. 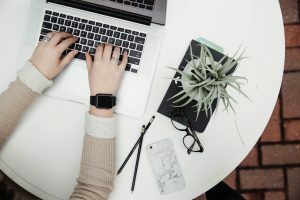 Most people don’t think about copywriting when composing a blog post, but with a short blog post its imperative if you want to make an impact. Know Your Audience – Which platforms does your audience use to access your content? How can you customize your content to match audience needs, wants, and preferences? What does your audience want and need to know? Any way that you can do that will improve the impact of your short blog posts immeasurably. Short blog posts also take less time to write than longer blog posts. They don’t have to keep the reader’s attention as long, and focus on only one topic at a time. Focus each short blog post on a minute topic that is important to your audience for the most impact. In addition, a shorter post will be better written than a longer post due to the attention paid to ridding a post of extraneous words and sticking to the point.